Guido Jouret, Chief Digital Officer, ABB Group says Industrial Internet of Things needs both IT and OT expertise. India, with its expertise in IT needs industrial domain expertise. 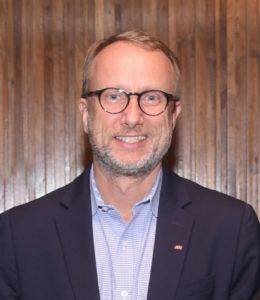 Guido Jouret, Chief Digital Officer, ABB Group is a technology strategist, with over 24 years of experience in the IT sector. He is committed to creating high-tech solutions for businesses in digital transformations. Jouret is the driving force behind ABB Ability, the company’s unified, cross-industry digital capability — extending from device to edge to cloud — with devices, systems, solutions, services and a platform, enabling customers to increase productivity and efficiency. Guido Jouret received the NASSCOM Global Leadership Award at the WCIT-NASSCOM ILF 2018 for leadership in the IT sector in India. In an exclusive interview with Brian Pereira, Editor, Digital Creed, Jouret explains ABB Ability and how Indian industries such as Power, Manufacturing and Transportation will benefit. He also shares notes on automation and the opportunities for India in terms of combining IT with operational technology (OT). DC: Can you tell us what is ABB Ability? How will it help Indian businesses? Guido Jouret: ABB Ability is a set of solutions and a technology platform that helps customers adopt Industry 4.0 and get ready for the energy revolution. The solutions are products — services that are essentially hardware, software and connectivity, that solve specific problems like energy management, cybersecurity, robots, automation technologies. All of this is powered by a common technology platform based on Microsoft Azure, IBM Watson and other industry standard technologies. Customers can deploy these solutions on premise, as well as in the cloud. In the Indian context, these are extremely relevant as we think of programs like the electrification program, that is extending power to rural communities, the initiatives around electric vehicle charging, and Made in India, which has more factory production, and industrial capabilities are coming to India. There is tremendous scope to take the assets that India has in terms of IT and combine that with operational technology (OT), where we can create new solutions that together help unleash productivity and bring economic prosperity to India. DC: What is the unique approach ABB Ability takes to connect businesses and customers to Industrial Internet of Things? How is this different from competitor offerings? Guido Jouret: The unique approach of ABB Ability is, first of all, we have a solutions-led approach. Whereas some our competitors might want to sell you a platform, we’re not interested in selling a platform to our customers. We want to sell solutions to their challenges and opportunities. A solution is hardware, software, and connectivity sold either as a product or as a service. And I think maybe a second element that’s differentiated, is that we’ve chosen to use a platform — we use common technologies to build the solutions — but that technology stack is an industry standard technology stack; we’ve chosen to build our solutions on top of Microsoft Azure and we use Microsoft Azure as platform as a service, meaning the software elements that are on top of that: machine learning, visualization, databases. We have chosen to leverage those as opposed to just using Microsoft because they happen to have some servers. That is going to give us tremendous agility and speed because that’s going to allow us to not have to reinvent that wheel. The third element that’s differentiated is that, whereas some would say if you want to have the benefit of our systems, you must move your applications on to our platform. We don’t think that’s necessary. We think that increasingly, with data moving to the cloud, and we think not all data will go there, but certainly interesting subsets or summaries. We believe that it’s much more efficient to talk about interconnecting the cloud. Customers have their own data centres. They may use AWS. They may have Predix they may have MindSphere solutions. It’s far easier to interconnect applications at a cloud-to-cloud level through APIs and the like, then to try to change or swap out all the devices that currently exist on the factory floor. So, one of the things that we advocate is to say if you want to have your ERP connect to our control system or do our robotics, why don’t we have an inter-cloud connection? Those are the three elements that I think make us stand out. Maybe if there’s a fourth. I would say perhaps the breadth of our portfolio. Everything from transmission distribution of electricity and smart buildings, robotics. Some of our competitors don’t have robots, so in terms of their ability to do automation is perhaps more constrained. 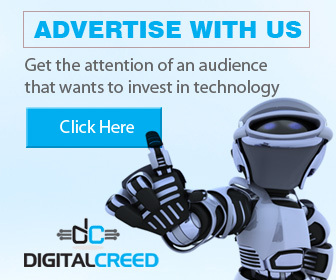 DC: It’s nice to have blockchain technology, robots and automation. But the board is always asking about business benefit. How can automation deliver business value? Guido Jouret: A lot of these technologies are just enablers. They create new capabilities. The ultimate question is what business capability are you affecting? Those business capabilities could be everything from reduced cost, but not only reduced cost. I think in many cases, what they give is agility and this is something that is not quite often understood. But for manufacturers, one of the elements they also crave, aside from reducing cost, is the ability to make things in smaller batches. Typically, if you think about a car company or some company making consumer electronics or something, they need a minimum batch size to justify the standard factory that they have on the back shop to make this. If on the other hand, your factory is highly automated using robots and automation systems it can adapt more readily. So instead of having to have a million units before you can become cost efficient, you could make batches of several thousand and make it as efficiently as the large number. DC: And the economics will work out, right? Guido Jouret: That’s right. Because the factory is programmable in that sense, so you don’t have to rip out things and put them back in. In the automotive industry, they try to do this when they build, for example, multiple types of cars on the same assembly line. 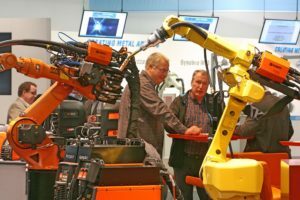 But the automotive industry is the exception; 70 percent of robots by value are sold into the automotive sector which means that the vast number of robots are not deployed widely in any other industry. That’s yet to come. So, we think that’s going to come and I think that will also help particularly boost productivity, because one of the challenges in India is in terms of where we still have ways to go to improve per unit of GDP. The Indian economy still requires about 30 percent more energy than some of the Western economies. Now that’s an opportunity because what that says is that those gains are possible. Those improvements are possible because others have done it. So, in this sense if going from a system where there’s little to no automation, leapfrogging just like was the case in telecoms. You don’t have to wait for the landlines to improve, you can jump directly to mobile. In this case, industrial automation based on industrial PCs, software, control systems, cloud — all of these capabilities allow Indian companies to potentially leapfrog especially when building much of this technology involves IT expertise. So, you need both industrial domain but you also need this stack of IT technologies networking skills server-based database technologies, and there of course with the ICT industry being a strong suite of India, those companies that are in that sector would of course be very interested to work and to help out with this. What they lack though in many cases is the industrial domain expertise and that’s why, for example ABB, we have been partnering with companies and that’s where we see a great possibility to combine IT and OT expertise.